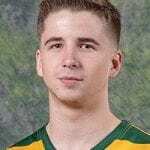 St. Peter’s HS product Liam Sanborn recorded his first career double-double with new career-highs in both points (19) and rebounds (14) as he helped Oswego State improve to 6-0 in the SUNYAC with a 77-60 victory over Cortland. The sophomore’s point total was his sixth double-figure scoring game of the year while the double-digit rebound outing was his first as a Laker. He also had nine assists, the second-most in his career. He committed just one turnover. The Lakers are 11-2 overall. Six-time New Year Singles Classic champion George Cretella earned an automatic berth in the finals by winning one of the four squads last weekend. 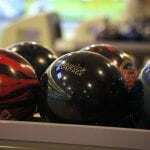 Cretella shot a 710 set. Qualifying concludes this weekend with squads slated for 1 and 2:30 p.m. Saturday and Sunday.